There are many ways to donate that may be beneficial to both the Foundation as well as the donor. 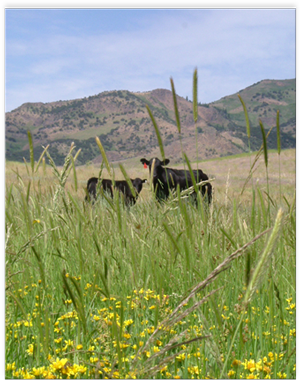 Thanks for stopping by the Nevada Agricultural Foundation (NAF) website. We are excited to have you as a visitor. NAF has accomplished some amazing things in the last 39 years and truly has made a positive impact on Nevada’s agriculture. Knowing that over $1,000,000 in scholarships and grants has been awarded to literally hundreds of students and researchers since NAF’s inception helps illustrate these accomplishments. Organizations such as NAF are rare and I’m proud to say I’m a part of this one. I find myself in the unique position of having been a past recipient of a substantial NAF scholarship and now the foundation’s president. The past support of this organization has helped to strengthen my love for agriculture and I hope it does the same to each individual that NAF touches. I look forward to another great year with support from all of those who admire and are committed to Nevada’s agriculture. Josh Vittori, President. The Foundation seeks ways to encourage, develop, enhance and sustain a productive agricultural industry. We believe in fostering education and research to benefit both the agricultural producers and leaders of today as well as those of the generations to follow. This is accomplished by generating revenues to fund our two main areas of involvement: The funding of pertinent, quality research to help educate our current producers as well as the public; and the granting of education assistance awards to deserving individuals who are seeking future careers relating to agriculture, including careers in bio-technologies and animal health. Food Safety and Security – food borne pathogens. Continuous supply of quality foods in sufficient quantity, world-wide. Decreasing available farmland – erosion, pollution, and urban encroachment. Number of farms is declining and the average acreage was growing, until recent years. Average age of farmers is rising as youth from the rural areas are not staying on or returning to the farm. Diminishing financial resources for agriculture education in our land-grant universities. Costs of education continue to increase and education and communication now operate at high speed. Diminishing human and natural resources available to agriculture, world-wide, and competing uses are intensifying. Natural and Manmade Disasters increasing in frequency and intensity–fire, flood, etc. Global Climate Change is occurring now, although the causes are being debated. Agricultural enterprises are many and varied in Nevada. See table below, Facts – Nevada Agriculture. The “locally grown, fresh food” production movement is increasing in Nevada as well as throughout the United States. Innovative Community Supported Agriculture marketing programs have evolved as many family’s primary food source, including “Farmers Markets”, “Roadside Stands”, and “Contract Production” as many family’s primary food source. 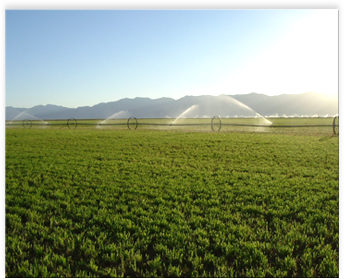 High Intensity production is developing in numerous Nevada locations, which may provide quantities of fresh fish, fruit, grains, vegetables, and other useful crops. For example, alternative field crops are being tested and grown for special markets such as Camelina, Mint, Soybeans, Teff, etc. The Nevada Agricultural Foundation believes we must act now to assist Nevada agriculture in addressing the issues mentioned above and others, and to adapt to the changing industry. Our focus is and will be – building the human resources to provide the best educated, experienced, and informed people to guide our industry through the coming years. We plan to increase our financial support for college bound Nevada students; agricultural educators, agricultural research projects, and educator recognition for those teachers and volunteers who help make it happen. Our pledge is to serve our “Mission”. The Nevada Agricultural Foundation has determined the importance of the education of Nevada youth by recognizing those who excel in educating young people about agriculture. Student Support: The leaders of tomorrow are the students of today. We offer education assistance awards and grants to students attending a college or university while majoring in a subject relating to agriculture.